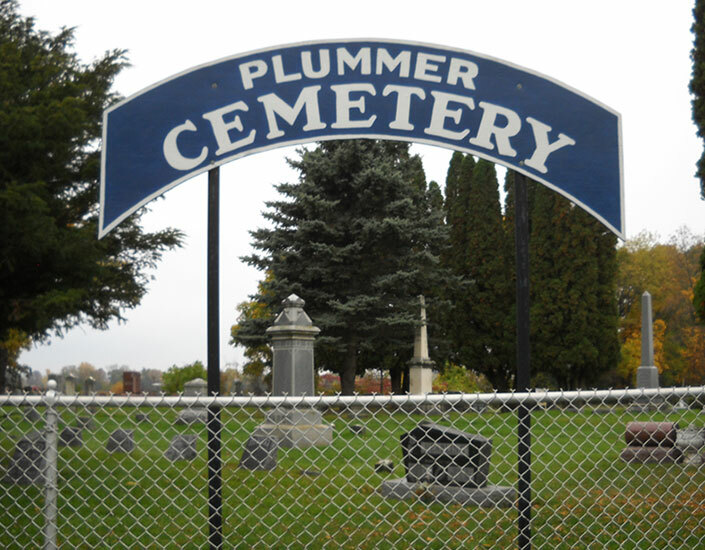 Originally known as the Pride Cemetery, the Plummer Cemetery is the resting place for many residents of the Butte des Morts area. It is 2 miles south of Butte des Morts on County Highway S. Some of the first settlers in this area are in this cemetery. Familiar names in the history of Butte des Morts are on the headstones here. Names like Pride, Peterson, Bogk, Boe, Benedict, Overton and Plummer to name a few. Pete Peterson and John Boe operated a general store in the Grignon Hotel. The Benedict family was well known as muskrat trappers and traders. The Overtons were some of the first settlers in the area and continue to farm here to this day. The Prides and Plummers were likewise early settlers A walk through the cemetery is a journey through the history of Butte des Morts and the surrounding area.